February is the shortest month, but that doesn’t mean the awareness campaigns that take place during it are less important than those in January or March. In fact, February is the time dedicated to heart disease, one of the major health concerns in the United States. American Heart Month is meant to educate consumers about the importance of healthy living and regular cardiac exams. According to the Centers for Disease Control and Prevention (CDC), there are 2,200 deaths every day linked to heart disease and strokes. Doctors and other medical professionals should participate in American Heart Month to ensure that their patients are healthy, as they play a vital role in keeping consumers informed about potential health risks. Additionally, gyms should develop rewards strategies like distributing unique promotional products to prevent clients from giving up on their fitness goals. 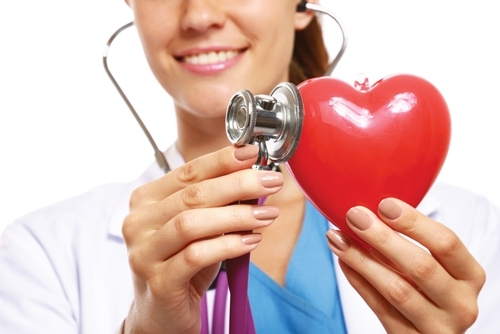 When patients come in for February appointments, doctors should spend extra time focusing on cardiovascular health. An open discussion on eating and exercise habits can give medical professionals a clear understanding of how likely their clients are to develop heart diseases, and practitioners can subsequently recommend healthy lifestyle changes. Promotional pens and notepads should be given to every patient. It’s difficult to follow a doctor’s orders from memory, but the branded gifts can be used to take notes. Clients can refer back to their discussion points to ensure that they’re leading healthier lives and reducing their risks for heart disease. Alternatively, medical practices can print promotional calendars and include different health tips on every page. Doctors can even mail the free gifts with appointment reminders for patients who aren’t coming in during February. One of the most common New Year’s resolutions is exercising and getting in shape. As a result, 12 percent of new gym memberships are sold in January, according to Men’s Health. Unfortunately, many people find it difficult to keep these promises for more than a few days. The Daily Mail conducted a survey in 2012 and found that 75 percent of adults give up on their resolutions by January 10. Gyms can do their part in raising awareness for American Hearth Month by retaining their customers and ensuring that they are working toward their fitness goals. Trainers can give all of their clients promotional items like water bottles to use during their workouts. Hydration is an important factor in heart health. John Baston, a physician, told the American Heart Association (AHA) that proper hydration reduces cardiovascular strain. “If you’re well hydrated, your heart doesn’t have to work as hard,” Baston said. Ultimately, promotional water bottles can make exercising even more effective in helping clients combat potential risks. Water can keep the heart working healthily while muscles recover after particularly grueling workouts. Additionally, branded pedometers keep gym members honest about their activity levels. It’s easy for some clients to justify skipping a couple of sessions, but the devices show users just how active they have been throughout the day. American Heart Month can go a long way toward combating heart diseases, but the health issues can’t be eradicated in 28 days. Medical practices and fitness centers can use their promotional gifts to raise awareness for cardiovascular conditions for the entire year. Clients usually keep branded items for months, so they’ll be exposed to educational content after February ends. According the Advertising Specialty Institute (ASI), the average consumer holds onto promotional items for 5.8 months. The ASI notes that other marketing platforms don’t last as long as branded products. Such gifts can ensure that people are aware of their heart health and are making strides toward preventing possible diseases.